The contest, which kicked off in November, engaged 736 elementary schools throughout the state against each other for bragging rights of having successfully completed the most math lessons on the TTM system. Nearly 23,000 Idaho students across the state had the opportunity to participate at school, during after school programs, and at home. During the five-week competition period, students completed more than 120,000 lessons and solved more than 2.9 million complex math problems. The winning class will receive a trophy, champion banner, T-shirts, certificates and a $100 gift card for a classroom celebration. * First runner up: Mr. Keiser’s 6th grade class at White Pine Elementary School in Boise Independent School District. * Second runner up: Mr. Robinson’s 4th grade class at Collister Elementary School in Boise Independent School District. * The Holiday Hero’s Award, which is given for extraordinary work during the Thanksgiving break from November 27 through December 1, has been awarded to Ms. Holton’s Algebra 1 class of Homedale Middle School in Homedale Joint School District. * The Idaho Gurus of Giving Award, which is given to classes that donated the most THINK points to one of TTM’s featured charities, has been awarded to Ms. Comstock’s 4th grade class of at Cecil D. Andrus Elementary School. The class donated $54 to The Wounded Warrior Project. * The Evening/Weekend Warrior Award, which is given to the class that worked the most outside of school hours, has been awarded to Ms. Troy’s 4th grade class of Highlands Elementary School in Boise School Independent School District. * Grace Elementary School, Grace Joint District. * Eagle Hills Elementary School, West Ada School District. * Barbara R. Morgan Elementary School. * Michael M. Vallivue Middle School, McCall-Donnelly Joint School District. * Mountain Home Junior High School, Mountain Home District. * River City Middle School, Post Falls District. * Camelot Elementary School, Lewiston Independent District. * Woodland Middle School, Coeur D’Alene District. * Oakley Elementary School, Cassia County Joint District. * Fruitland Elementary School, Fruitland District. * Moscow Middle School, Moscow District. * Rulon M. Ellis Elementary School, Pocatello District. 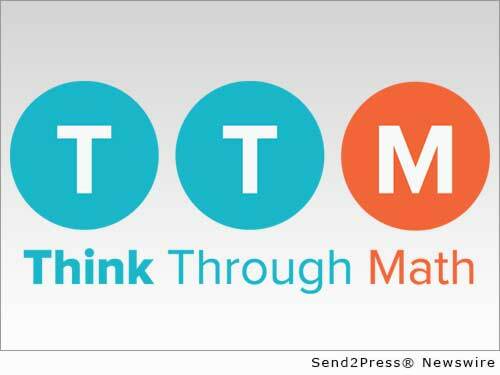 More than 2.6 million students in over 17,000 schools across the country currently use TTM as part of their math curriculum. Think Through Math (http://www.thinkthroughmath.com/) provides rigorous adaptive lessons built upon each state’s learning standards, and is supported by the unique functionality of on-line math teachers to assist struggling students in real-time. Available to students from school and home, Think Through Math has an embedded incentive program that motivates students as they solve math problems as well as a charitable giving feature that allows students to convert their points into donations to select charities. Think Through Learning is a company of passionate and committed U.S. math teachers, software engineers and educational innovators whose mission is to help kids learn how to think mathematically. At Think Through Learning, we know that success in mathematics transforms how students perform in school and beyond. Our vision of effective education: a motivating blend of adaptive instruction on higher order thinking skills and on-demand online “instant 1:1 interventions” from live, state-certified U.S. math teachers wherever a student is – school, home or elsewhere – at the precise moment that they need assistance. In 2014, students on Think Through Math will do approximately one billion complex math problems and receive millions of live personalized “just-in-time teaching” sessions. The 2014 and 2012 recipient of the SIIA CODiE Award for Best Mathematics Instructional Solution, Think Through Math is recognized as the industry’s most respected and fastest-growing supplemental math curriculum. Since its launch in 2012, Think Through Math has become a critical part of the RTI, STEM, and 1:1 strategies of thousands of districts and schools across the country, including some of the largest districts in the United States.